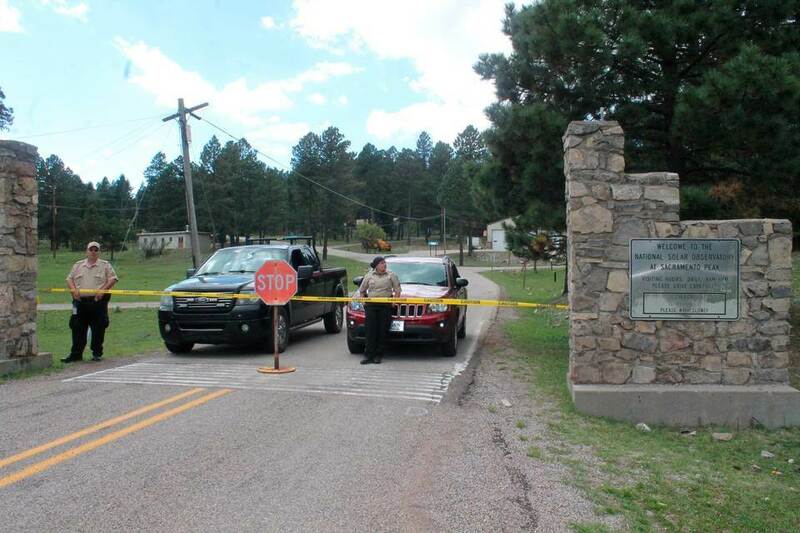 The national Sunspot Solar Observatory in an isolated, mountainous region of New Mexico was set to reopen Monday after it was shut down on Sept. 6 with little explanation. Officials had said very little about why the observatory, near Alamagordo, shut down. Local law enforcement officials said the FBI was involved in the closure — which the feds have not confirmed or denied — and the resulting lack of information led to all kinds of conspiracy theories. “There was a Blackhawk helicopter, a bunch of people around antennas and work crews on towers, but nobody would tell us anything,” House told the Daily News. Bureau spokesman Frank Fisher would neither confirm nor deny FBI involvement, according to the Journal. The closing led people to wonder whether the closure had something to do with alien activity. “Some say the evacuation could be part of a government effort to cover up a discovery involving aliens, an impending solar flare or something else extra-planetary,” wrote the CNET technology website. The statement from AURA on Sunday said the observatory was closed “based on the logistical challenges associated with protecting personnel at such a remote location, and the need for expeditious response to the potential threat. The statement did not explain the “criminal activity” allegedly discovered at the observatory, or mention anything about arrests. It did acknowledge how the “lack of communications while the facility was vacated was concerning and frustrating for some. “However, our desire to provide additional information had to be balanced against the risk that, if spread at the time, the news would alert the suspect and impede the law enforcement investigation. That was a risk we could not take,” said the statement. Given the amount of attention online and in media around the world that the closure attracted, officials plan to have extra security around when the observatory reopens to handle an expected “unusual number of visitors to the site,” the Facebook statement said. In some circles, the announcement of suspected “criminal activity” at the observatory hasn’t stopped speculation of something more sinister at hand. “Is there more to the Sunspot National Solar Observatory story?” asks one poll that popped up on Twitter Monday morning. Is there more to the Sunspot National Solar Observatory story? The reopening might not be enough to silence the conspiracy theories, suggested Alan Boyle, the aerospace and science editor for GeekWire. “The observatory’s staff of about nine employees should be back at work this week. It shouldn’t take long for nearby residents to be back in their homes, for researchers to be back at the Dunn Solar Telescope, and for tourists to be back at the Sunspot Visitors Center,” Boyle wrote. “But a full resolution of the mystery will have to wait until criminal charges are filed, assuming that the investigation bore fruit.